Visit us at the Chicago Gourmet this year! Time sure flies when you're having fun in Millennium Park. Bon Appétit presents Chicago Gourmet is celebrating ten years in 2017 (can you believe it?) and everyone is invited to the party. Of course there’s the fabulous main event weekend. Don’t miss chefs Curtis Stone, Carla Hall, Graham Elliot, Stephanie Izard and more for lively cooking demos, wine & cocktail seminars, book signings, and amazing tastings from the best restaurants, wineries, spirits purveyors, and breweries. Anniversary surprises will be around every corner so be on the lookout for special toasts, party favors, photo ops, and more. Chicago Gourmet 2017 tickets available online. Visit the official website. Mark your calendars for the largest specialty food and beverage show on the West Coast! Attend the show in San Francisco from January 21 – 23 to discover the hottest new products, producers, and trends at the 2018 Winter Fancy Food Show. 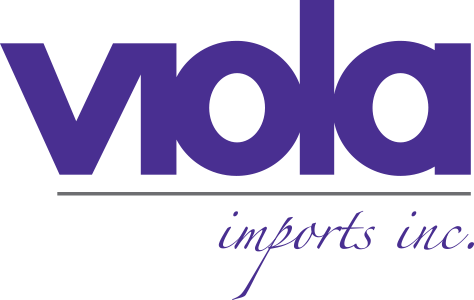 Viola Imports will be attending, check back soon for details on on our booth location. Registration will open in summer 2017! Visit the Winter Fancy Food Show's official website.